Vasilis (Billy) Niaros is the Research Coordinator of the [P2P Foundation] and a Research Fellow at the P2P Lab. 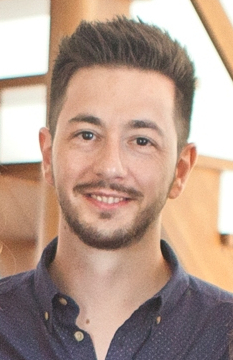 Billy holds a PhD in Technology Governance from Tallinn University of Technology (2016) as well as a five-year-BSc and a MSc in Urbanism and Regional Development from University of Thessaly. His research work is related to commons transitions at the city level with an emphasis on the use of local manufacturing technologies. During spring 2017 Billy holds a residency post at TimeLab, Ghent, joining a three-month-long Commons Transition Project funded by the Municipality of Ghent. Niaros, V. (2016). Introducing a taxonomy of the “smart city”: Towards a commons-oriented approach? tripleC: Journal for a Global Sustainable Information Society, 14(1), 51-61. Kostakis, V., Niaros, V., & Giotitsas, C. (2015). Production and governance in hackerspaces: A manifestation of commons-based peer production in the physical realm?. International Journal of Cultural Studies, 18(5), 555-573. Kostakis, V., Niaros, V., & Giotitsas, C. (2015). Open source 3D printing as a means of learning: An educational experiment in two high schools in Greece. Telematics & Informatics, 32 (1), 118–128. Niaros, V., Kostakis, V., & Drechsler, W. (2017, accepted with changes). Making and sharing (in) the smart city: The emergence of makerspaces. Telematics & Informatics. Niaros, V., & Bauwens, M. (2017, accepted). Re-dynamising local economies in the age of Trumpism. Journal of Future Studies. Niaros, V., Pantazis, A., & Lemos, L. (2017). Public-commons partnerships: Empirical evidence from Ecuador and Greece. Bauwens, M., & Niaros, V. (2017). Value in the commons economy: Developments in open and contributory value accounting. Berlin: Heinrich Böll Foundation. Bauwens, M., & Niaros, V. (2017). The emergence of peer production: Challenges and opportunities for labor and unions. Brussels: European Trade Union Institute. De Filippi, P., Loveluck, B., Niaros, V., Pantazis, A., & Fuster, M. (2016). Best practices for commons-based peer production communities & policy recommendations. P2P Value. Pazaitis, A., Niaros, V., Dittus, M., & Fuster, M. (2016). Validation experiments: Research reports on validation experiments description and analysis. P2P Value. Kostakis, V., Bauwens, M., & Niaros, V. (2015). Urban reconfiguration after the emergence of peer-to-peer infrastructures: Four future scenarios with an impact on smart cities. In D. Araya (Ed. ), Smart cities as democratic ecologies(pp. 116-124). New York, NY: Palgrave Macmillan.